Rumors of Superstar relationships have been swirling. From the supposed engagement of Charlotte and Andrade, to Nikki’s Bella threatening John Cena’s new girlfriend about breaking John’s heart, to Corey Graves admitting that he is “F-A-B-O-L-O-U-S” when admitting to dating Carmella, to Zack Ryder and Chelsea Greene’s actual engagement. It seems love is in the air this spring. You can add WWE Universal Champion Seth Rollins and Double WWE Women’s Champion Becky Lynch to the list. Rumors have been swirling for weeks as the championship power couple have been seen at recent WWE events being close. 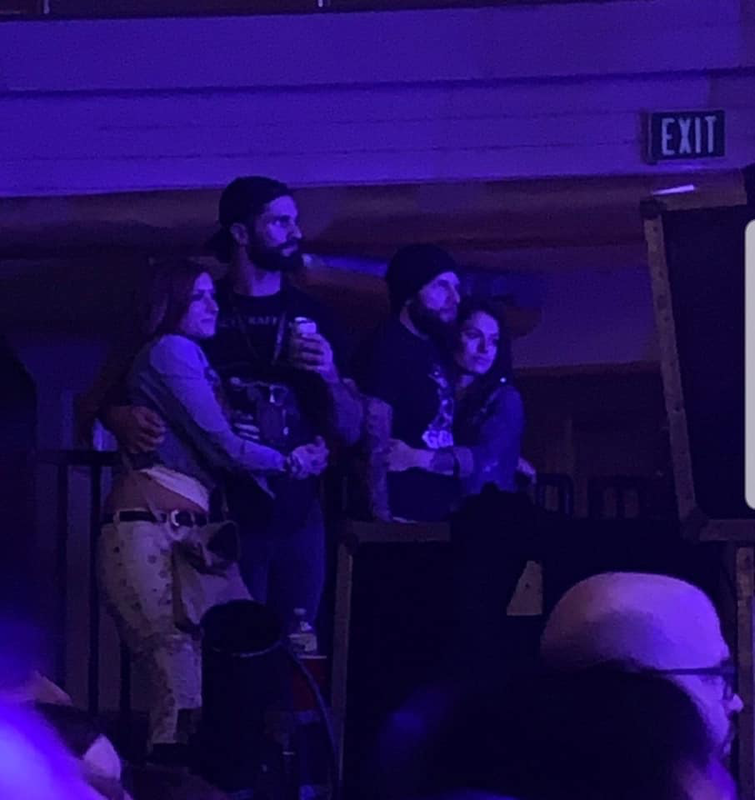 Now pictures, and video has surfaced showing the two canoodling at a Taking Back Sunday concert this week. The couple hasn’t gone public with their relationship yet, but they are not hiding it from fans either. We here at Bodyslam wish The Man and The Beast Slayer a happy and healthy relationship. You can follow me on Twitter here. Make sure to follow us on Twitter @BodySlamNet@BodySlamDotNet and on Instagram @BodySlamDotNet Also check us out on Facebook and give us a like and share by clicking HERE. A father of two who loved pro wrestling so much I tried to partake. Then fractured my spine so now I watch it a lot.